The YMCA provides safe and reliable transportation each day for our campers to begin their adventure! 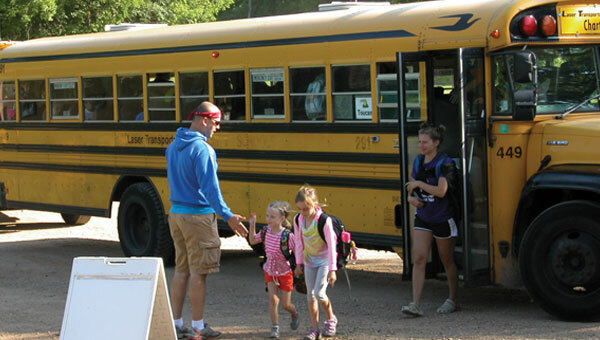 Bus stop locations for Day Camp Guy Robinson are available throughout the communities listed. Transportation is provided by YMCA-owned vans, leased vans, and buses. All drivers have completed special training. Campers are expected to follow our bus rules and safety guidelines. Transportation is provided to and from camp. Convenient locations have been selected in your neighborhood. Please select only one bus stop on the registration form. Camp buses stop only at locations listed on schedule. Actual pick up spot may change from week to week due to location requirements; please give yourselves a few extra minutes to locate the bus on Monday mornings. Traffic congestion and road construction may slightly affect actual times. The bus sites are not supervised before pick up times or after drop-off times.